The intense flavors, quality, and variety of what to eat in Mexico is proof of its worldwide fame. 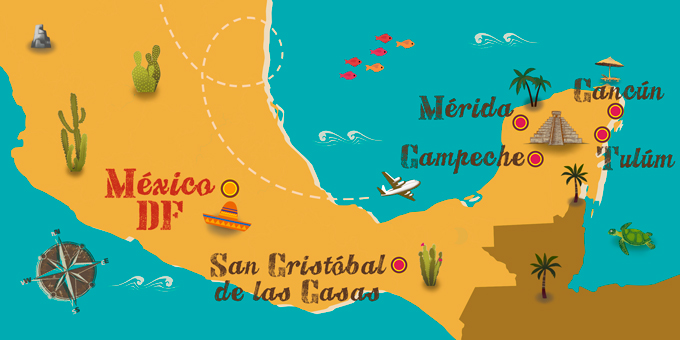 The millions of tourists who visit the country each year take with them a pleasant memory of Mexican cuisine. We all know the most famous Mexican dishes such as enchiladas, tacos, fajitas, or burritos. However, the variety of dishes to eat in Mexico is much more extensive. Take note of all the dishes you can taste and discover in this beautiful Central American country. This dish of Mexican cuisine is similar to tacos, but it differs by carrying a lot of cheese and being much spicier. Depending on the region, you will find different ways to prepare them, but they are mainly baked in the oven. 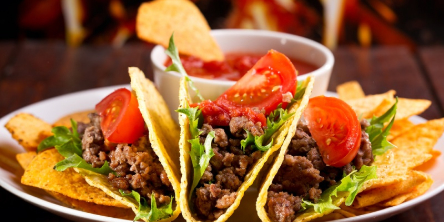 To make the authentic Mexican fajitas meat is prepared in tomato sauce, which is rolled in a corn or wheat tortilla. It is accompanied by a hot sauce, and they are undoubtedly the undisputed protagonists of Mexican food. Similar to the two typical dishes of Mexico which we have named above, burritos are filled with roast beef and vegetables. They are also served in a corn tortilla, and refried beans are added. A typical dish to eat in Mexico are tacos: corn pancakes stuffed with meat, red, yellow and green chilis, with onion and tomato. The meat can be chicken or beef, and without a doubt, it is one of the most typical internationally-known dishes of Mexico. It's not just corn tortillas, in Mexico soup is also eaten as a main course. The Pozole, in fact, is a soup of chicken or pork, whose main ingredient is corn of cacahuazintle. There are white, red and green varieties, depending on the region, and it is one of the most peculiar dishes to eat in Mexico. Although they are traditional throughout Latin America, Mexican empanadas are differentiated by their different varieties. Depending on the region, you can try fish and seafood empanadas, potatoes, meat, and sweet empanadas. This dish from Mexico, we know in the rest of the world as nachos. They are corn or wheat tortillas of a triangular shape, which are served fried with plenty of cheese. They have jalapeños, and different varieties of hot pepper, along with chopped tomato and green pepper. As its name suggests, the main ingredient of this dish which you can eat in Mexico is queso - cheese. The quesadillas are prepared on the grill: on a corn or wheat tortilla various ingredients and a lot of cheese are placed and covered with another pancake so that they remain as a wrap. To prepare this dish of Mexican food, shrimp from the Sinaloa region are used, cucumbers, coriander, chopped chilis, lemon juice, onion, salt, and pepper. The shrimp are very tasty cooked in this sauce, which is seasoned with Maggi juice. Huarache is one of the least-known Mexican dishes, whose name comes from its shape, reminiscent of the typical sandals of Mexican Indians. For its preparation chicken, beans, fresh cheese, lettuce, and several types of sauce are used. Banderillas are breaded sausage skewers fried in oil. They are served with plenty of hot sauce and are usually eaten as an appetizer. At the fast food street stalls, you can try this typical Mexican dish. What we know as sandwiches, in Mexico are called tortas. The peculiarity is that they are served cold or hot and they have all kinds of sauces, chilis, and guacamole, as well as a great variety of ingredients. If you like fried eggs, this is one of the dishes to eat in Mexico which you cannot miss. They are served accompanied by two fried corn pancakes, with ratatouille, hot pepper, and coriander. Sometimes rice or beans are added to the plate. Following the typical dishes of Mexico, tamales can be steamed or baked. To prepare this dish, a chicken and pork stew is made, which is wrapped in a mass of corn to cook it. Its presentation is a kind of small package wrapped in raffia ribbon, stuffed with the tasty stew. Mexico's food also includes an excellent quality of cheeses. You can discover Oaxacan cheese or string cheese, which is a semi-hard white type that is used for melting. Panela cheese is another type of cheese which is very popular in the country. Its appearance resembles ricotta or feta cheese and is used to accompany tacos, burritos, salads or chilis. In addition to the previous main dishes, you would need many days of travel to try the enormous variety of chilis and Mexican sauces. All this without forgetting the desserts, such as the Coconut Kisses, the Muéganos, the guava candy, or its famous Tequilas and Mezcales. Mexico offers you one of the most intense trips, not only in terms of natural beauty and landscape but also in terms of flavors. Every dish of the Mexican cuisine will leave an unforgettable memory of your visit to the country. If Mexico has caught your attention, leave us your number so we can call you to discuss the voyage that awaits you.